Can funders and activists work together? 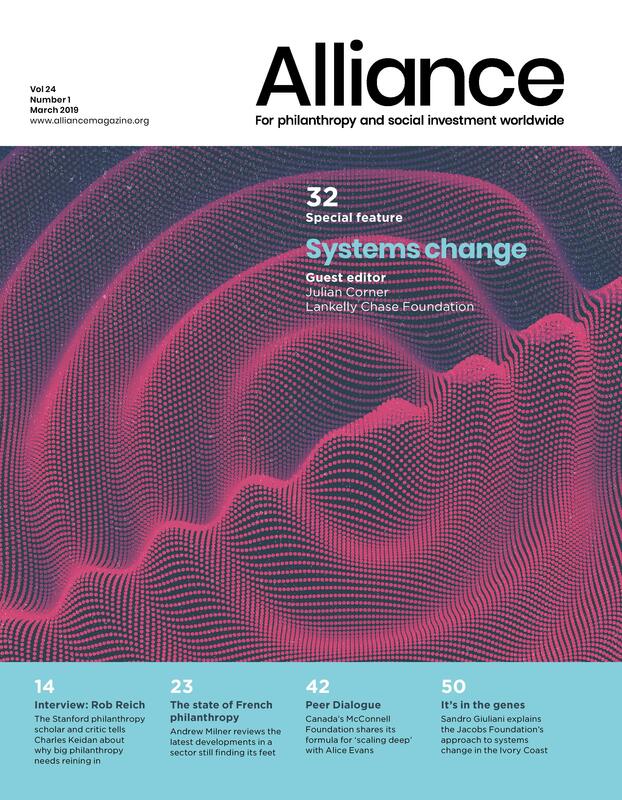 The fault line that still exists between funders and activists was more clearly revealed in an ‘engagement lab’ on Investment Strategies to Build a Just Transition. Funders and activists became frustrated with each other as each side felt it was pursuing its own interests without fully considering the group’s common purpose. This tension boiled over into open confrontation in one of the sessions. One participant I spoke to even wondered whether, after all, it isn’t better to have conferences of exclusively funders or of exclusively activists – hardly a ringing endorsement of shared working. The representatives of social movements themselves summed up their discontents on the final day of the conference. They want to improve the process and accountability for the engagement lab element (in fact, might it be better, they wondered, if movement representatives designed them?). They would like 50-50 representation on the conference committee and at the conference, they would like to select which movements are represented and who, from those movements, comes to the conference. What’s more, those movements should not be just grantees of EDGE members. In short, they want more say in organizing the next EDGE conference and something else which is not so readily translatable into practical terms: ‘don’t just take our ideas, engage in our leadership.’ In spite of repeated calls at previous EDGE conferences to be led by the movements, funders are still a long way from allowing themselves to be. However, there was also a willingness to give EDGE due credit for going as far as it had and if the movements’ petition wasn’t quite a rebuke, Chung-Wha Hong, conference co-chair, offered what was not quite an apology. She undertook to take the activists’ discontents and requests into consideration. Urging more support and humility from funders, she reminded the gathering that movement members risk much more than funders do. That said, as one of the speakers pointed out, EDGE deserves praise because although it’s not perfect, it’s the only forum where movements come and speak out to this extent. Criticisms were made and taken in a constructive spirit and the will to address them was evident. After all, as one of the movement representatives pointed out, ‘we’re not here to make you feel good.’ Let’s see what happens next year.